This article is about the post-1824 measures used in the British Empire and countries in the British sphere of influence. For the units used in England before 1824, see English units. For the system of weight, see Avoirdupois. For United States customary units, see United States customary units. For an overview of UK and US units, see Imperial and US customary measurement systems. Imperial apothecaries' measures, based on the imperial pint of 20 fluid ounces, were introduced by the publication of the London Pharmacopoeia of 1836, the Edinburgh Pharmacopoeia of 1839, and the Dublin Pharmacopoeia of 1850. The Medical Act of 1858 transferred to The Crown the right to publish the official pharmacopoeia and to regulate apothecaries' weights and measures. Metric equivalents in this article usually assume the latest official definition. Before this date, the most precise measurement of the imperial Standard Yard was 6999914398415000000♠0.914398415 metres. The British Admiralty in practice used a fathom of 6 feet. This was despite its being ​1⁄1000 of a nautical mile (i.e. 6.08 feet) until the adoption of the international nautical mile. One tenth of a nautical mile. Equal to 100 fathoms under the strict definition. Used for measuring distances at sea. Until the adoption of the international definition of 7003185200000000000♠1852 metres in 1970, the British nautical (Admiralty) mile was defined as 7003608000000000000♠6080 feet. In 1824, the various different gallons in use in the British Empire were replaced by the imperial gallon, a unit close in volume to the ale gallon. It was originally defined as the volume of 10 pounds (4.5 kg) of distilled water weighed in air with brass weights with the barometer standing at 30 inches of mercury (102 kPa) at a temperature of 62 °F (17 °C). 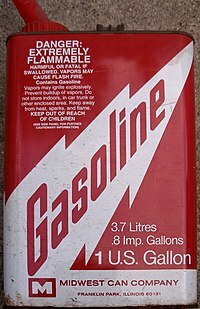 In 1963, the gallon was redefined as the volume of 10 pounds of distilled water of density 7002998859000000000♠0.998859 g/mL weighed in air of density 7000121700000000000♠0.001217 g/mL against weights of density 7003813599999999999♠8.136 g/mL, which works out to 6997454609600000000♠4.546096 l or 6997454609601746720♠277.4198 cu in. The Weights and Measures Act of 1985 switched to a gallon of exactly 6997454609000000000♠4.54609 L (approximately 6997454608946264160♠277.4194 cu in). These measurements were in use from 1826, when the new imperial gallon was defined, but were officially abolished in the United Kingdom on 1 January 1971. In the US, though no longer recommended, the apothecaries' system is still used occasionally in medicine, especially in prescriptions for older medications. ^ The vinculum over numbers (e.g. 3) represents a repeating decimal. In the 19th and 20th centuries, the UK used three different systems for mass and weight. The distinction between mass and weight is not always clearly drawn. Strictly a pound is a unit of mass, although it is commonly referred to as a weight. When a distinction is necessary, the term pound-force may be used to refer to a unit of force rather than mass. The troy pound (6999373241721600000♠373.2417216 g) was made the primary unit of mass by the 1824 Act; however, its use was abolished in the UK on 1 January 1879, with only the troy ounce (6998311034768000000♠31.1034768 g) and its decimal subdivisions retained. The Weights and Measures Act 1855 (18 & 19 Victoria C72) made the avoirdupois pound the primary unit of mass. In all the systems, the fundamental unit is the pound, and all other units are defined as fractions or multiples of it. grain (gr) ​1⁄7003700000000000000♠7000 6998647989100000000♠0.06479891 Exactly 7001647989100000000♠64.79891 milligrams. stone (st) 14 7003635029318000000♠6350.29318 7000635029318000000♠6.35029318 The plural stone is often used when providing a weight (e.g. "this sack weighs 8 stone"). A person's weight is often quoted in stones and pounds in English-speaking countries that use the avoirdupois system, with the exception of the United States and Canada, where it is usually quoted in pounds. quarter (qr or qtr) 28 7001127005863600000♠12.70058636 One quarter is equal to two stones or a quarter of a hundredweight. The term quarter was also commonly used to refer to a quarter of a pound in a retail context. hundredweight (cwt) 112 7001508023454400000♠50.80234544 One imperial hundredweight is equal to eight stones. This is the long hundredweight as opposed to the short hundredweight of 100 pounds as used in the United States and Canada. ton (t) 2240 7003101604690880000♠1016.0469088 Twenty hundredweights equal a ton (as with the US and Canadian systems). The imperial hundredweight is 12% greater than the US and Canadian equivalent. The imperial ton (or long ton) is 7003224000000000000♠2240 pounds, which is much closer to a metric tonne (about 7003220460000000000♠2204.6 pounds), compared to the short ton of 2000 pounds (907.185 kg). slug (slug) 7001321740485600000♠32.17404856 7004145939029400000♠14593.90294 7001145939029400000♠14.59390294 The slug, a unit associated with imperial and US customary systems, is a mass that accelerates by 1 ft/s2 when a force of one pound (lbf) is exerted on it. Although the 1824 act defined the yard and pound by reference to the prototype standards, it also defined the values of certain physical constants, to make provision for re-creation of the standards if they were to be damaged. For the yard, the length of a pendulum beating seconds at the latitude of Greenwich at Mean Sea Level in vacuo was defined as 7001390139300000000♠39.01393 inches. For the pound, the mass of a cubic inch of distilled water at an atmospheric pressure of 30 inches of mercury and a temperature of 62° Fahrenheit was defined as 252.458 grains, with there being 7,000 grains per pound. However, following the destruction of the original prototypes in the 1834 Houses of Parliament fire, it proved impossible to recreate the standards from these definitions, and a new Weights and Measures Act (18 & 19 Victoria. Cap. 72) was passed in 1855 which permitted the recreation of the prototypes from recognized secondary standards. British law now defines each imperial unit in terms of the metric equivalent. The metric system is in official use within the United Kingdom for most official applications with Imperial units remaining in widespread use amongst the public. All UK roads use the imperial system except for weight limits, and newer height or width restriction signs give metric alongside imperial. Units of measurement regulations require all measuring devices used in trade or retail to display measurements in metric quantities. Almost all traders in the UK will accept requests from customers specified in imperial units, and scales which display in both unit systems are commonplace in the retail trade. Metric price signs may be accompanied by imperial price signs provided that the imperial signs are no larger and no more prominent than the metric ones. The United Kingdom completed its official partial transition to the metric system in 1995, with some imperial units still legally mandated for certain applications such as draught beer and cider, road-signs, and therefore the speedometers on vehicles sold in the UK must be capable of displaying miles per hour. Even though the troy pound was outlawed in the UK in the Weights and Measures Act of 1878, the troy ounce may still be used for the weights of precious stones and metals. The original railways (many built in the Victorian era) are a big user of imperial units, with distances officially measured in miles and yards or miles and chains, and also feet and inches, and speeds are in miles per hour, although more recent systems are metric, and London Underground uses metric. Most British people still use imperial units in everyday life for distance (miles, yards, feet and inches) and volume in some cases (especially milk and beer in pints) but rarely for canned or bottled soft drinks or petrol. Though use of kilograms is increasing, most British people also still use imperial units in everyday life for body weight (stones and pounds for adults, pounds and ounces for babies). Some government documents aimed at the public give body weight and height not only in metric units (kilograms centimetres) but also in imperial units (stones and pounds, feet and inches). A survey in 2015 found that many people did not know their body weight or height in one system or the other. People under the age of 40 preferred the metric system but people aged 40 and over preferred the imperial system. The height of horses in some English-speaking countries, including Australia, Canada, the United Kingdom and the United States is usually measured in hands, standardized to 4 inches (101.6 mm). Fuel consumption for vehicles is commonly stated in miles per gallon, though official figures always include litres per 100 km equivalents. When sold draught in licensed premises, beer and cider must be sold in pints and half-pints. Cow's milk is available in both litre- and pint-based containers in supermarkets and shops. Areas of land associated with farming, forestry and real estate are commonly advertised in acres and square feet, but for official government purposes the units are always hectares and square metres. Office space and industrial units are usually advertised in square feet. Steel pipe sizes are sold in increments of inches, while copper pipe is sold in increments of millimetres. Road bicycles have their frames measured in centimetres, while off-road bicycles have their frames measured in inches. The size (diagonal) of television and computer monitor screens is always denominated in inches. Food sold by length or width e.g. pizzas or sandwiches, is generally sold in inches. Clothing is always sized in inches, with the metric equivalent often shown as a small supplementary indicator. Gas is usually measured by the cubic foot or cubic metre, but is billed like electricity by the kilowatt hour. Some pre-packaged products show both metric and imperial measures and it is also common to see imperial pack sizes with metric only labels e.g. a 1 lb (i.e., 454 g) tin of Lyle's Golden Syrup is always labelled 454 g with no imperial indicator. Similarly most jars of jam and packs of sausages are labelled 454 g with no imperial indicator. India's conversion to the metric system from the imperial system occurred in stages between 1955 and 1962. The metric system in weights and measures was adopted by the Indian Parliament in December 1956 with the Standards of Weights and Measures Act, which took effect beginning 1 October 1958. The Indian Coinage Act was passed in 1955 by the Government of India to introduce decimal coinage in the country. The new system of coins became legal tender on April 1957, where the rupee consists of 100 paise. For the next five years, both the previous and new systems were legal. In April 1962, all other systems were banned. This process of metrication is called "big-bang" route, which is to simultaneously outlaw the use of pre-metric measurement, metricise, reissue all government publications and laws, and change education systems to metric. Today all official measurements are made in the metric system. However, in common usage some older Indians may still refer to imperial units. Some measurements, such as the heights of mountains, are still recorded in feet. Additionally, the Indian numbering system of crores and lacs is used alongside otherwise metricated currency units, while tyre rim diameters are still measured in inches, as used worldwide. Road widths are popularly measured in feet but official documents use metres. Body temperature is still sometimes measured in degrees Fahrenheit. Industries like the construction and the real estate industry still use both the metric and the imperial system though it is more common for sizes of homes to be given in square feet and land in acres. Bulk cotton is sold by the candy (0.35 imperial tons, or 355.62 kg) or the bale (170 kg). In Standard Indian English, as in Australian, Singaporean, and British English, metric units such as the litre (liter), metre (meter), and metric tonne (ton) utilise the traditional spellings brought over from French, which differ from those used in the United States and the Philippines. The imperial long ton is invariably spelt with one 'n'. (See English in the Commonwealth of Nations for more information). The Chinese system's most commonly used units for length are 里 (li), 丈 (tseung/cheung), 尺 (tsek/chek), 寸 (tsun/chun), 分 (fen/fan) in descending scale order. These units are now rarely used in daily life, the imperial and metric systems being preferred. The imperial equivalents are written with the same basic Chinese characters as the Chinese system. In order to distinguish between the units of the two systems, the units can be prefixed with "Ying" (Chinese: 英) for the Imperial system and "Wa" (Chinese: 華) for the Chinese system. In writing, derived characters are often used, with an additional 口 (mouth) radical to the left of the original Chinese character, for writing imperial units. The most commonly used units are the mile or "li" (Chinese: 哩), the yard or "ma" (Chinese: 碼), the foot or "chek" (Chinese: 呎), and the inch or "tsun" (Chinese: 吋). Imperial units also retain common use in firearms and ammunition. Imperial measures are still used in the description of cartridge types, even when the cartridge is of relatively recent invention (e.g., .204 Ruger, .17 HMR, where the calibre is expressed in decimal fractions of an inch). However, ammunition that is already classified in metric is still kept metric (e.g., 9×19mm). In the manufacture of ammunition, bullet and powder weights are expressed in terms of grains for both metric and imperial cartridges. Metrication in Australia has largely ended the official use of imperial units, though for particular measurements (such as flight altitudes and nominal sizes of computer and television screens) international use of imperial units is still followed. In licensed venues, draught beer and cider is sold in glasses and jugs with sizes based on the imperial fluid ounce though rounded to the nearest 5 mL. In aviation, altitude and airport elevation are measured in feet whilst navigation is done in nautical miles; all other aspects (fuel quantity, aircraft weight, runway length, etc.) use metric units. Screen sizes for devices such as televisions, monitors and phones, and wheel rim sizes for vehicles, are stated in inches, as is the convention in the rest of the world. Full imperial measurements are used in Palau, Marshall Islands, Micronesia and Belize. Some imperial measurements remain in limited use in Malaysia, the Philippines, Sri Lanka and South Africa. Measurements in feet and inches, especially for a person's height, are frequently encountered in conversation and non-governmental publications. Prior to metrication, it was a common practice in Malaysia for people to refer to unnamed locations and small settlements along major roads by referring to how many miles the said locations were located from the nearest major town. In some cases, these eventually became the official names of the locations; in other cases, such names have been largely or completely superseded by new names. An example of the former is Batu 32 (literally "Mile 32" in Malay), which refers to the area surrounding the intersection between Federal Route 22 (the Tamparuli-Sandakan highway) and Federal Route 13 (the Sandakan-Tawau highway). The area is so named because it is 32 miles west of Sandakan, the nearest major town. Petrol is still sold by the imperial gallon in Anguilla, Antigua and Barbuda, Belize, Myanmar, the Cayman Islands, Dominica, Grenada, Montserrat, St Kitts and Nevis and St. Vincent and the Grenadines. The United Arab Emirates Cabinet in 2009 issued the Decree No. (270 / 3) specifying that, from 1 January 2010, the new unit sale price for petrol will be the litre and not the gallon. This in line with the UAE Cabinet Decision No. 31 of 2006 on the national system of measurement, which mandates the use of International System of units as a basis for the legal units of measurement in the country. Sierra Leone switched to selling fuel by the litre in May 2011. Wikimedia Commons has media related to British Imperial units. ^ References for the Table of British apothecaries' volume units: Unit column;:C-7 Symbols & abbreviations column;:C-5, C-17–C-18 Relative to previous column;:C-7 Exact metric value column — fluid ounce, pint and gallon, all other values calculated using value for fluid ounce and the Relative to previous column's values. ^ Britannica Educational Publishing (1 August 2010). The Britannica Guide to Numbers and Measurement. The Rosen Publishing Group. p. 241. ISBN 978-1-61530-218-5. Retrieved 10 December 2011. ^ Chaney, Henry James (1897). A Practical Treatise on the Standard Weights and Measures in Use in the British Empire with some account of the metric system. Eyre and Spottiswoode. p. 3. Retrieved 11 September 2016. ^ a b c Great Britain (1824). The statutes of the United Kingdom of Great Britain and Ireland (1807-1865). His Majesty's statute and law printers. pp. 339–354. Retrieved 31 December 2011. ^ Great Britain; William David Evans; Anthony Hammond; Thomas Colpitts Granger (1836). A collection of statutes connected with the general administration of the law: arranged according to the order of subjects. W. H. Bond. pp. 306–27. Retrieved 31 December 2011. ^ Edinburgh medical and surgical journal. A. and C. Black. 1824. p. 398. Retrieved 29 July 2012. ^ Ireland; Butler, James Goddard; Ball, William (barrister.) (1765). The Statutes at Large, Passed in the Parliaments Held in Ireland: From the twenty-third year of George the Second, A.D. 1749, to the first year of George the Third, A.D. 1761 inclusive. Boulter Grierson. p. 852. Retrieved 29 July 2012. ^ Gray, Samuel Frederick (1836). A supplement to the Pharmacopœia and treatise on pharmacology in general: including not only the drugs and preparations used by practitioners of medicine, but also most of those employed in the chemical arts : together with a collection of the most useful medical formulæ ... Longman, Rees, Orme, Brown, Green, and Longman. p. 516. Retrieved 29 July 2012. ^ "A Translation of the Pharmacopoeia of the Royal College of Physicians of London, 1836.: With ..."
^ The Pharmacopoeia of the Royal College of Physicians of Edinburgh. Adam and Charles Black and Bell and Bradfute. 1839. pp. xiii–xiv. Retrieved 29 July 2012. ^ Royal College of Physicians of Dublin; Royal College of Physicians of Ireland (1850). The pharmacopœia of the King and queen's college of physicians in Ireland. Hodges and Smith. p. xxii. Retrieved 29 July 2012. ^ Great Britain (1858). A collection of the public general statutes passed in the ... year of the reign of ... Printed by G. W. Eyre and W. Spottiswoode, Printers to the Queen. p. 306. Retrieved 29 July 2012. ^ Sears et al. 1928. Phil Trans A, 227:281. ^ The exact figure was 6.08 feet, but 6 feet was in use in practice. The commonly accepted definition of a fathom was always 6 feet. The conflict was inconsequential, as Admiralty nautical charts designated depths shallower than 5 fathoms in feet on older imperial charts. Today, all charts worldwide are metric, except for USA Hydrographic Office charts, which use feet for all depth ranges. ^ The nautical mile was not readily expressible in terms of any of the intermediate units, because it was derived from the circumference of the Earth (like the original metre). ^ "Appendix C: General Tables of Units of Measurements" (PDF). NIST. Archived from the original (PDF) on 26 November 2006. Retrieved 4 January 2007. ^ Ricketts, Carl (1996). Marks and Marking of Weights and Measures of the British Isles. Taunton, Somerset: Devon Design and Print. p. 94. ISBN 0952853302. Retrieved 13 September 2016. ^ "The Weights and Measures (Equivalents for dealings with drugs) Regulations 1970". ^ "Museum of the Royal Pharmaceutical Society, London, Information Sheet: 11" (PDF). ^ a b Zentz, Lorraine C. (2010). "Chapter 1: Fundamentals of Math — Apothecary System". Math for Pharmacy Technicians. Sudbury, MA: Jones & Bartlett Learning. pp. 7–8. ISBN 978-0-7637-5961-2. OCLC 421360709. Retrieved 6 July 2012. ^ a b Boyer, Mary Jo (2009). "UNIT 2 Measurement Systems: The Apothecary System". Math for Nurses: A Pocket Guide to Dosage Calculation and Drug Preparation (7th ed.). Philadelphia, PA: Wolters Kluwer Health | Lippincott Williams & Wilkins. pp. 108–9. ISBN 978-0-7817-6335-6. OCLC 181600928. Retrieved 6 July 2012. ^ a b c Royal College of Physicians of Dublin (1850). "Weights and Measures". The Pharmacopœia of the King and Queen's College of Physicians in Ireland. Dublin: Hodges and Smith. p. xlvi. OCLC 599509441. Retrieved 6 July 2012. ^ a b c National Institute of Standards and Technology (October 2011). Butcher, Tina; Cook, Steve; Crown, Linda et al. eds. "Appendix C – General Tables of Units of Measurement" (PDF). Specifications, Tolerances, and Other Technical Requirements for Weighing and Measuring Devices. NIST Handbook. 44 (2012 ed.). Washington, D.C.: US Department of Commerce, Technology Administration, National Institute of Standards and Technology. ISSN 0271-4027. OCLC OCLC 58927093. Retrieved 6 July 2012. ^ a b Rowlett, Russ (13 September 2001). "F". How Many? A Dictionary of Units of Measurement. Chapel Hill, NC: University of North Carolina at Chapel Hill. fluid dram or fluidram (fl dr). Retrieved 6 July 2012. ^ Buchholz, Susan; Henke, Grace (2009). "Chapter 3: Metric, Apothecary, and Household Systems of Measurement — Table 3-1: Apothecary Abbreviations". Henke's Med-Math: Dosage Calculation, Preparation and Administration (6th ed.). Philadelphia, PA: Wolters Kluwer Health | Lippincott Williams & Wilkins. p. 55. ISBN 978-0-7817-7628-8. OCLC 181600929. Retrieved 6 July 2012. ^ Pickar, Gloria D.; Swart, Beth; Graham, Hope; Swedish, Margaret (2012). "Appendix B: Apothecary System of Measurement — Apothecary Units of Measurement and Equivalents". Dosage Calculations (2nd Canadian ed.). Toronto: Nelson Education. p. 528. ISBN 978-0-17-650259-1. OCLC 693657704. Retrieved 6 July 2012. ^ Great Britain (1878). Statutes at large ... p. 308. Retrieved 12 September 2012. ^ Chisholm, Hugh (1911). The Encyclopædia Britannica: A Dictionary of Arts, Sciences, Literature and General Information. At the University Press. p. 480. Retrieved 12 September 2012. ^ a b Great Britain (1855). A collection of public general statutes passed in the 18th and 19th years of the reign of Her Majesty Queen Victoria. pp. 273–75. Retrieved 5 January 2012. ^ "The Units of Measurement Regulations 1994". www.legislation.gov.uk. Retrieved 13 March 2019. ^ "Definition of stone in English from the Oxford dictionary". www.oxforddictionaries.com. Oxford University Press. Retrieved 25 November 2015. ^ "Height and width road signs to display metric and imperial". BBC. 8 November 2014. Retrieved 26 February 2017. New road signs showing height and width restrictions will use both metric and imperial measurements from March 2015....Road signs for bridges, tunnels and narrow roads can currently show measurements in just feet and inches or only metres. Some already display both. ^ "BusinessLink: Weights and measures: Rules for pubs, restaurants and cafes". Department for Business, Innovation & Skills. Archived from the original (online) on 20 July 2011. Retrieved 24 August 2009. ^ "Department for Transport statement on metric road signs" (online). BWMA. 12 July 2002. Retrieved 24 August 2009. ^ "Facts & Figures". Transport for London. Transport for London. Retrieved 31 January 2016. ^ "In praise of ... metric measurements". The Guardian. London. 1 December 2006. Retrieved 29 October 2017. ^ "BMI healthy weight calculator". National Health Service. Retrieved 25 November 2015. ^ Dahlgreen, Will (20 June 2015). "Britain's metric muddle not changing any time soon". Retrieved 29 October 2017. even today  most 18-24 year-olds still do not know how much they weigh in kilograms (60%) or how tall they are in metres and centimetres (54%). ^ "YouGov Survey Results" (PDF). 2015. Retrieved 29 October 2017. ^ a b "internat.htm". Archived from the original on 21 February 1999. ^ a b Acharya, Anil Kumar. History of Decimalisation Movement in India, Auto-Print & Publicity House, 1958. ^ "CAP 68 WEIGHTS AND MEASURES ORDINANCE Sched 2 UNITS OF MEASUREMENT AND PERMITTED SYMBOLS OR ABBREVIATIONS OF UNITS OF MEASUREMENT LAWFUL FOR USE FOR TRADE". ^ "Weights and Measures Act: Canadian units of measure". Justice Canada. Archived from the original on 5 June 2011. Retrieved 14 November 2007. ^ "Consumer Packaging and Labelling Regulations (C.R.C., c. 417)". Justice Canada, Legislative Services Branch. Retrieved 15 November 2012. ^ "A Canadian compromise". CBC. Retrieved 11 March 2008. ^ "Les livres et les pieds, toujours présents (eng:The pounds and feet, always present)" (in French). 5 sur 5, Société Radio-Canada. Retrieved 11 March 2008. 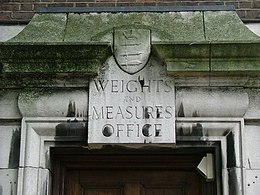 ^ "BRITISHWEIGHTS AND MEASURES ASSOCIATION". ^ "Home Hardware - Building Supplies - Building Materials - Fence Products". Archived from the original on 29 June 2011. Retrieved 5 March 2011. ^ Canada, Government of Canada, Natural Resources. "Fuel Consumption Ratings Search Tool - Conventional Vehicles". ^ Canada, Government of Canada, Transportation Safety Board of. "Railway Investigation Report R96W0171". ^ "Canadian Aviation Regulations, Langley Flying School. Canadian Airport Organization, Runways and Taxiways, Mandatory Instruction Signs, Manoeuvring Area, Windsocks, Airport Circuit Organization in Canada, Uncontrolled Airports, Rules for Joining the Circuit in Canada, Airports with Mandatory Radio Frequency, Controlled Airports in Canada, ATC clearances and instructions, Canadian Airspace Organization, Canadian Class C Airspace, Canadian Class D Airspace, Restricted Airspace in Canada, Airway organization in Canada, VHF Airways, Control Zones in Canada, VFR Weather Minimum in Canada, Special VFR Clearances in Canada, VFR Over-the-top, Aircraft cruising altitude rules in Canada, Altimeter Rules in Canada, VFR Flight Plans in Canada, NOTAMs in Canada, National Security rules for aircraft in Canada, Emergency Locator Transmitters, Priority Aircraft Radio Communications in Canada, Transponder Requirements in Canada, Aircraft Fuel Requirements in Canada, Aircraft Passenger Briefings in Canada, Pilot Privileges in Canada, Aircraft Wake Turbulence, Aircraft Jet Blast Hazard, Aircraft passenger seat requirements in Canada, Aircraft Oxygen requirements in Canada, Aircraft Documents required in Canada, Aircraft Equipment requirements in Canada, Aircraft Icing, Minimum flight altitude in Canada, Rules of the Air in Canada,". ^ "Human use of metric measures of length" Archived 9 February 2013 at the Wayback Machine. Dignan, J. R. E., & O'Shea, R. P. (1995). New Zealand Journal of Psychology, 24, 21–25. ^ "TV buying guide". Noel Leeming. Retrieved 17 September 2018. ^ "Shop for Monitor, Computer Monitors, Computer Monitor". Harvey Norman. Retrieved 17 September 2018. ^ "Mobile Phones, Smartphones | Spark NZ". www.spark.co.nz. Retrieved 17 September 2018. ^ "Tyre Sizes | How To Read Your Tyre Size | Dimensions Explained". www.bridgestonetyrecentre.co.nz. Retrieved 17 September 2018. ^ Sierra Leone Embassy to the United States INTRODUCTION OF THE METRIC SYSTEM AND THE PRICE OF PETROLEUM PRODUCTS Archived 29 April 2015 at the Wayback Machine Retrieved 23 October 2011. ^ "Minister Lovell Addresses Metric Conversions". CARIBARENA Antigua. 18 October 2011. Archived from the original on 20 October 2011. Retrieved 23 October 2011. Thompson, A.; Taylor, Barry N. (5 October 2010). "The NIST guide for the use of the international system of units". also available as a PDF file. NIST. Archived from the original on 16 February 2010. Retrieved 15 October 2012.